The GeoGrainMax Series includes economical, reinforced films designed for agricultural applications requiring puncture resistance and high tear strengths. expectations of up to 12 months. GeoGrainMax GMP is our most popular cover and an excellent choice for a mid-term applications. 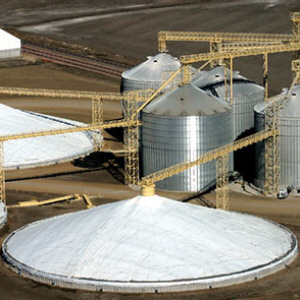 GeoGrainMax GMU is our heaviest scrim reinforced grain cover designed with exceptional tear and puncture strengths to withstand more demanding conditions for up to 2 years of service. Available in Oval, Round, and Rectangular sizes. Click here for Product Data Sheet.